Choose Top Only, or Top+ Back Option. Click on the triangle next to the price to select the option you would like! This quilt can easily be made into a bed-size quilt! As originally designed, the quilt will cover width of a Queen-size bed. Simply add more borders! 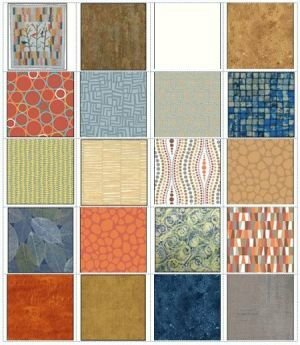 We have many of the fabrics used in the top and can help you design something larger. Call us at 785-243-4044 if you would like to explore this option. 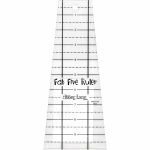 This pattern includes the Fab Five Ruler. If you look closely at the quilt, you will notice that the rows of wedges are put together so no seams have to match from row to row! 4 1/4 Yards Backing, which provides enough extra for a sleeve.